BUMPED to the top of the page in case you missed this great episode! 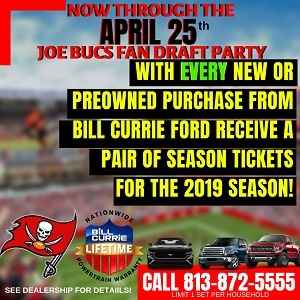 Buccaneers icon Derrick Brooks has really been bringing his A-game to TAMPA TWO with Ira Kaufman, the esteemed JoeBucsFan.com columnist, presented by Caldeco Air Conditioning and Heating. Not a lot of sugarcoating from Brooks. Whoa! As always, TAMPA TWO is a joint project of The Identity Tampa Bay and JoeBucsFan.com. Always love hearing from the future GM Brooks and the future sports writer HOFer Ira. If Evans (or any player) was a true pro he should not resent being critiqued. But, his attitude strikes me as one who would be offended. He needs to be mentally stronger. Yes, it would be nice to have Brooks in the organization at some capacity. What a great tandem with D Brooks and Ira. I’m a big fan of both. D Brooks was particularly amazing in this one. Shoot, pay D Brooks Bucs. Get him in the front office. He knows his stuff. cmurda – Agree with you, Brooks and Ira are a great team together. What do we have to do to get Brooks into that building and on that staff? tough talk from a has been that hung on too long and only won a pathetic 5 playoff games in his entire career. hardly a credible critic. I’m a huge fan of mr brooks but with all due respect when he took over the Storm they went from Champs to Chumps. Unlikely he’d do any better in the nfl but wtfdik. Shelton Quarles is in the Bucs front office and the best thing he’s done is block Winston, kinda. Do you think Lovie said the same thing to McIceCream that he said to you about status and income? ^^^^ I thought that was Beneouch…who attempted that block….wifffff lookout. Quarles? Shelton Quarles…….are you sure?? Its 2018 and I cant watch this video full screen. Why? DB55 – Arena football isn’t real football, and no one has cared about the Storm since they left the Thuderdome. I mean that too, the Storm would get right at 20,000 a game on average (way out drawing the Rays) in the dome, meanwhile once they moved to the Ice Palace they couldn’t draw hardly anything, in particular in the last decade of their existence. I think it had more to do with the game however, in the early days arena football was more like real football, teams didn’t just always go for it on 4th down and you’d have more than 1 stop per game – you even had legit running backs – then in the 15 years or so it became just who has the ball last wins and got very boring. Also the atmosphere stunk once they left the dome, they had a rowdy loud crowd in the old place, then once they got to the palace it was kind of lame and quiet, like people who watch Rays games. I know the last Storm game I went to felt nothing like the old days, it was just boring, the crowd that was there didn’t care, and speaking of the crowd that was there, there might have been 5000 people. That was in 2004. So to blame the decline of the Storm on Brooks is nonsense.